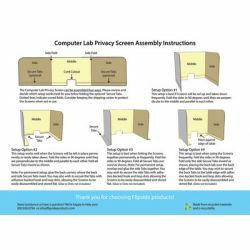 Create instant testing centers on desktops or tables to provide privacy, encourage students to stay focused and curb wandering eyes. 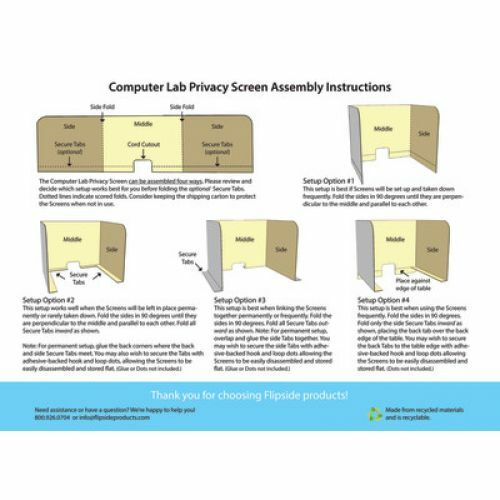 Sized to accommodate desktop monitors, laptops or tablets with a unique design featuring tabs to secure the screen to the table or to each other. 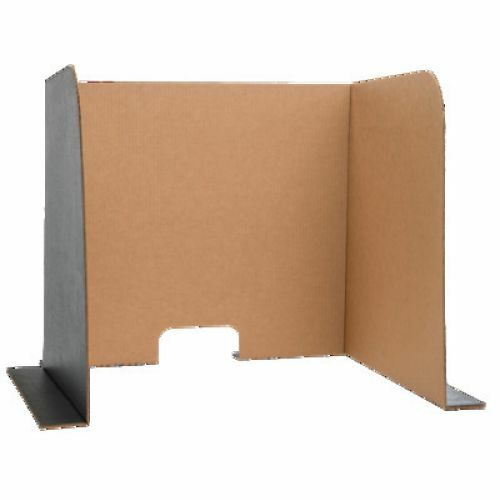 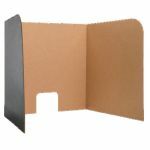 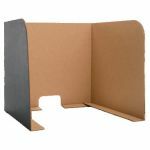 Lightweight and sturdy corrugated board is kraft on the interior and black on the exterior. Generous 6" x 2 1⁄2" cord cutout allows easy use with multimedia equipment. 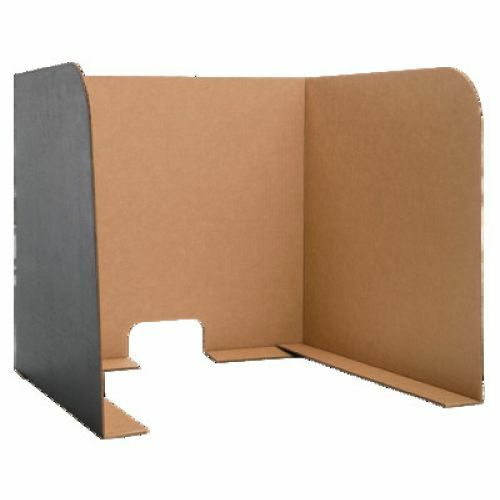 12-pack large size 26" x 20 1⁄2" x 22".